Brand New Potato Planting Bag Tough, woven plastic bag planter, suitable for growing all varieties of potato. 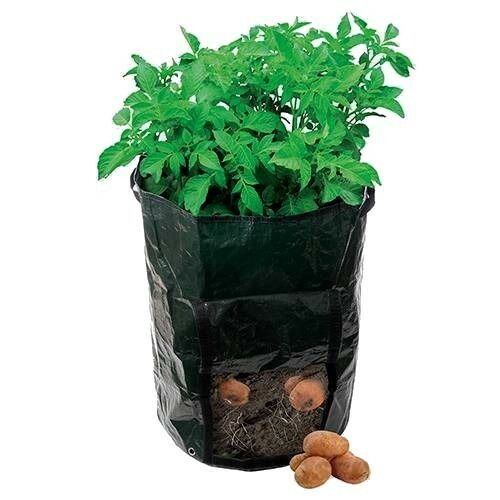 Each bag requires just 3 - 5 seed potatoes in 40 litres of compost. Unique design allows easy access to potatoes. Integral drainage holes in base. Side carry handles.